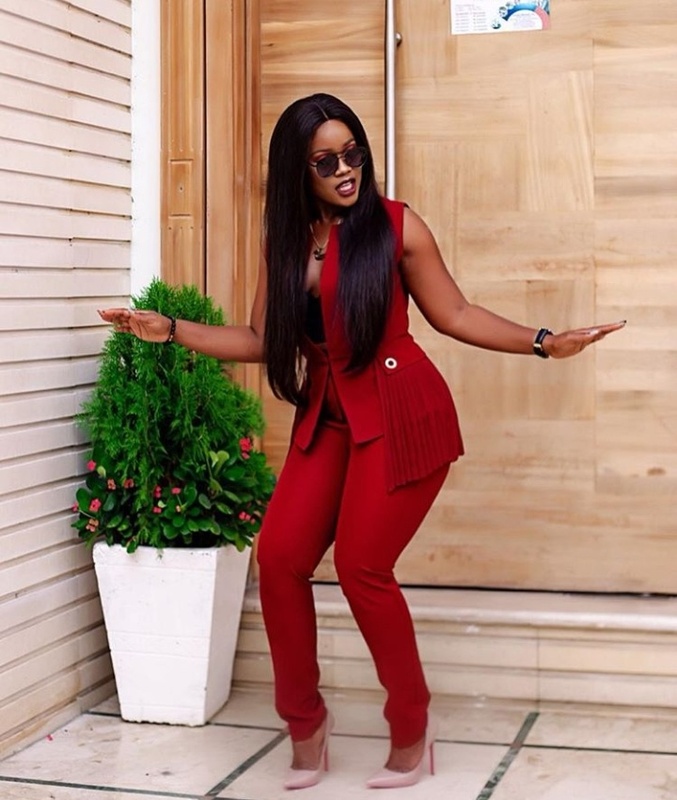 The BBNaija star, Cynthia Nwadiora popularly known as Cee-C steps out in super enthralling outfit. 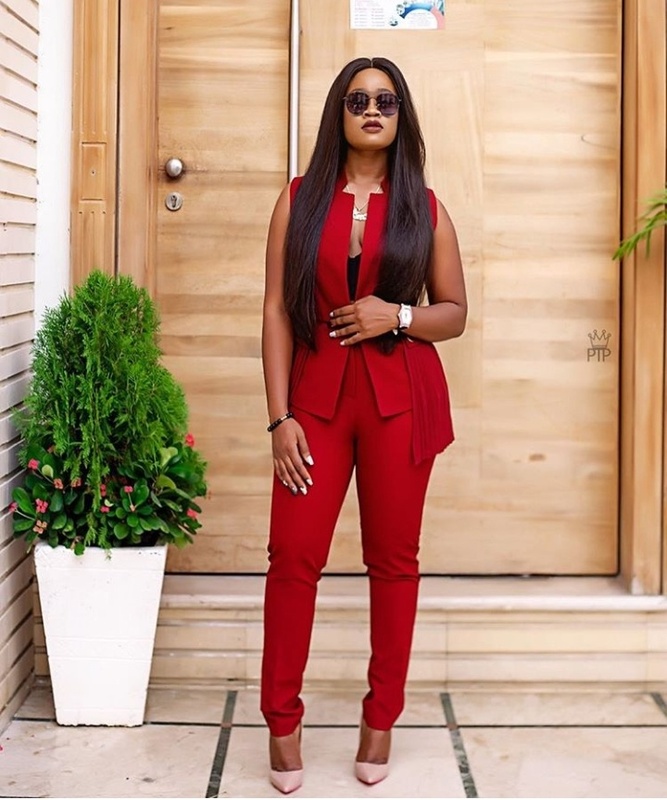 She stuns in two-piece wine corporate outfit in sleeveless suit top and trouser. She shows off her beauty in the outfit posing in styles.